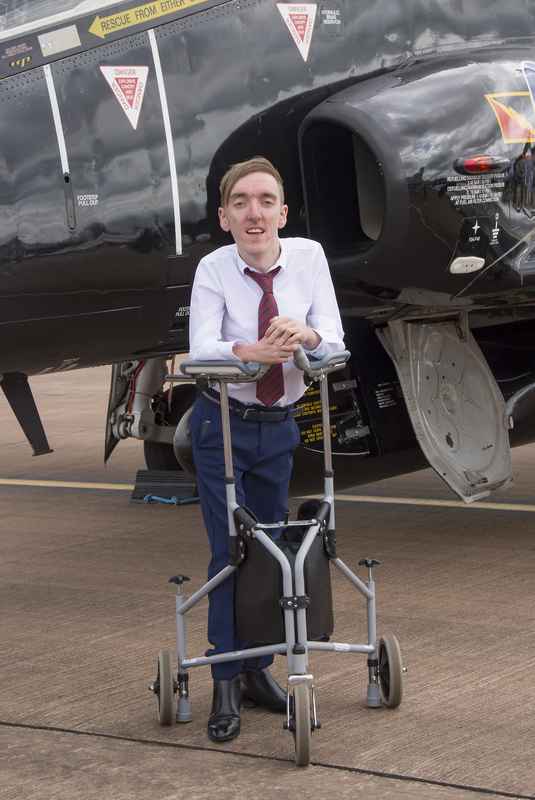 Born with a rare form of muscular dystrophy, Matthew has always found it difficult to lead a normal life. He has spent his 28 years trying to overcome every obstacle that his condition has thrown at him; learning to walk, driving a car and going to a mainstream school where he achieved three A-levels. I was in a very low place emotionally and physically when I applied for a scholarship. To my shock I was offered the chance to attend the selection centre at Cranwell. I had never travelled alone to another country but I took the brave step of booking a flight and hire car to travel to England purely because the chance of learning to fly was one I couldn’t pass on. I arrived at Cranwell very nervous, anxious and embarrassed. I was a young man walking into an RAF base with an obvious physical disability. Everyone was so welcoming; my anxiety and nerves faded - I have never in my life felt so ‘normal’.